FLORENCE, S.C. – Carolina Bank announced Wednesday that it will take over the former Art Trail Gallery at 185 W. Evans St. in a $4.5 million investment and expansion into downtown Florence. About a year from now, the bank’s headquarters and administrative offices, and a new retail branch, will be part of downtown’s revitalization. In a prepared statement, the bank called the move “the first phase of a far-reaching growth plan” that will include the modernization of existing branches and the introduction of new technological products and services while the bank continues to operate its retail branch in Darlington. 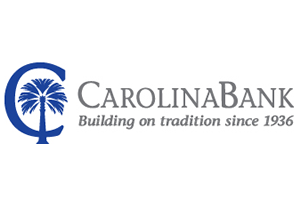 Carolina Bank plans to expand the building to 19,200 square feet as it shifts administrative and training staff along with lending, information technology and mortgage departments to the new downtown location. Twenty new positions will be created to bolster the bulk of the workforce relocating from Darlington. Senior credit officer Brian Falcone said the $4.5 million figure is an estimate as not all construction bids have been received. Adding a third floor to the building is in keeping with the bank’s historical character, he said, and a desire to return it “back to its original state.” Florence County tax assessor records show the 9,750-square-foot property has a total value of $234,230.70 and was built in 1920. Falcone, however, said the bank has a photograph of the building dating to 1906 with three floors. Bank officials hope construction gets underway by December, he said, and if all goes according to plan, the bank will be up and running at 185 W. Evans St. by Dec. 1, 2017. The future of the train mural on the North Irby Street side of the building is up in the air. In an attempt to return the building to its original state, the ground floor will feature stone and windows, Falcone said. In the statement, Beasley said last year was a successful year for the bank. Founded in Lamar 80 years ago, the family-owned bank has 14 banking locations in 11 South Carolina communities with more than $440 million in assets, according to the bank. In addition to a wide range of personal and commercial banking services, insurance, retirement and investment services are also offered.